Adaptations are always a difficult business. I'm ashamed to admit I far more often come down on the side of the book purists - mostly not because the adaptations themselves are bad, but because the novels are far more expansive, it's very hard not to lose key elements when trying to stay true to the original, and alterations can be risky. That said, some really succeed in distilling the book's essence. I've even preferred one or two to the source material. 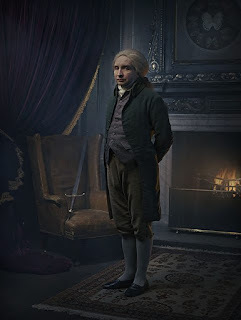 While Jonathan Strange and Mr Norrell isn't among the latter, it's a work I thought could never be adapted well (mostly due to its sheer length!) and I'm very glad to be proved wrong. o in the title, and the novel follows their lives, academics, quarrels and struggles - as well as that of Stephen Black, Sir Walter Pole's butler, who is caught up in the consequences of their actions. And it's wonderful. I've made this recommendation several times already, but it really is the best historical fantasy I've read - and one of the few books I find endlessly rereadable. The novel itself is a vast, sprawling work, clocking in at over 1000 pages in my copy (a very pretty one I picked up in the Oxfam bookshop a few years back after losing my original copy - black page edges are definitely striking). In fact, that's a large part of its charm - it will happily devote page-long footnotes to telling old magical folk stories, and referencing fictitious academic texts. I'm (as you may have realised) quite a devotee of extensive worldbuilding, and this is one of the most delightful examples I've encountered. Firstly, the actors. Eddie Marsan is perfect as Mr Norrell - by far the most difficult role. Because Norrell isn't your typical protagonist. He's meant to look as unmagicianlike as possible, and his visitors often come away with a sense of disappointment. And his personality? He's insecure, a miser with his books of magic, determined to make magic respectable at all costs. Look at this man. This is definitely Norrell. Strange, as Bertie Carvel, is also well cast (you can definitely see how the book persists in calling his expression "ironic"). And they're very, very talented. To make Norrell sympathetic - if rarely likeable - is a difficult task, and it's managed admirably. I, at least, really felt for the manipulated magician, even in his more horrible moments. 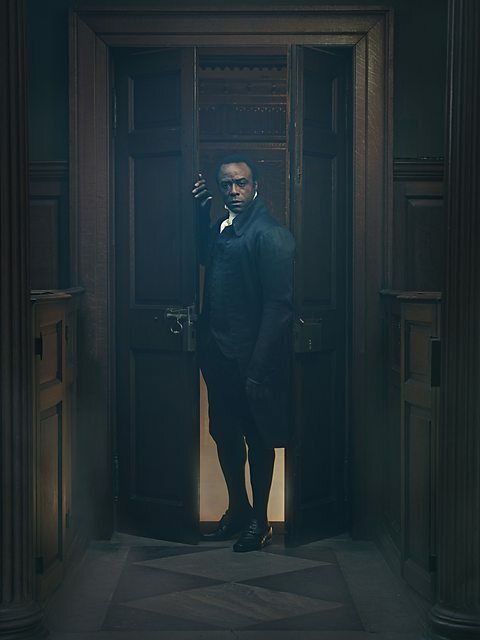 Stephen Black is played by Ariyon Bakare, likewise in a very good performance, but I have some issues with the change in Stephen's character and plotline in the adaptation, which I'll get to later. Secondly, the magic. The magic of the novel is subtle and creepy; described in feelings and images rather than flashy physical effects. Readers might be forgiven for wondering how well it would translate. In general, it works very well - the series definitely uses its effects budget wisely, and doesn't add any of the lights or usual trappings. And some of it definitely comes off as unearthly as the novel implies: the King's Roads (I would show, but... spoilers!) are a particular highlight, as is anything involving mirrors. There are one or two places where it seems to have stretched its budget too far (a curse in the final episode comes off as more funny than frightening), but there are some wonderful scenes - particularly with the fairy magic, and the Gentleman with the Thistledown Hair. Thirdly, the cuts. As I've mentioned, the book is more than a thousand pages - and even with seven episodes to fill, that still means a lot of cutting. Likewise, it mainly works - some characters are compressed into others (for example, Lascelles seems to have absorbed Lord Portishead), Strange gets focus a lot earlier, and most of the book's key parts remain - again, with the exception of Stephen, where several of the arc's crucial scenes as well as the resolution are entirely missing. I'll go into detail on this later, as this is the adaptation's main flaw. That said, there are other scenes I very much miss. Lord Byron, and his odd interactions (and disappointment) with Jonathan Strange, for one. The footnotes clearly couldn't be included, but are nonetheless missed! Some elements are even expanded upon - both Arabella and Lady Pole seem to have more from their perspective, and generally more agency, which I appreciate. the Gentleman with the Thistledown Hair, who is quite enamored with him. The series keeps this, but turns Stephen's relative powerlessness into complicity: he actively stops investigations, and even participates more actively in one of the Gentleman's larger schemes. By contrast, the Stephen of the book does not have the fairy's magic, but frequently manages to exert an influence over him regardless - while the Gentleman may be utterly immoral, Stephen can at least frequently divert him from the most destructive course of action he contemplates. The Stephen of the series has few of these scenes, and is depicted as far more cowardly. And this means that when Stephen really comes into play in the resolution, his actions (though similar) read very differently. Furthermore, the series essentially robs him of agency in favour of Strange and Norrell in the ending, as well as truncating his original plotline. While the adaptation is generally very impressive, this is a major failing to me - in addition to having rather unfortunate implications, with Stephen as the novel's only character of colour. Now for the really spoilery part. Don't read this unless you've read the novel, because I'm going to discuss exactly how the ending changes. And it's substantially. Stephen is essentially compelled by the magicians to kill the Gentleman, while the curse acquires a far more lethal aspect - and Norrell and Strange themselves travel to Lost Hope. We have a more overtly emotional reunion of the magicians, too, who profess their friendship for each other (while I did enjoy Norrell's newfound change of heart, and delight in magic, I did find this rather over the top). Arabella and Jonathan Strange have a similar goodbye, but a closer one emotionally, tinged with less of the book's bittersweetness. And we never see Stephen become King in Lost-Hope. It's here where I think the adaptation falls flat. Mostly, it just misses the subtlety of the original text - both in Stephen's actions, and in Strange and Norrell's relationship. So, would I recommend the adaptation? Yes, with some heavy caveats. The book is better - largely just for the Stephen Black plotline, which is adapted poorly - but also for aspects like the more nuanced presentation of the Gentleman with the Thistledown Hair, and the not-quite-working alterations to the original ending. That said, to fail to quite live up to one of the best modern fantasies hardly makes it a bad show - on the contrary, for the most part it's a great one. 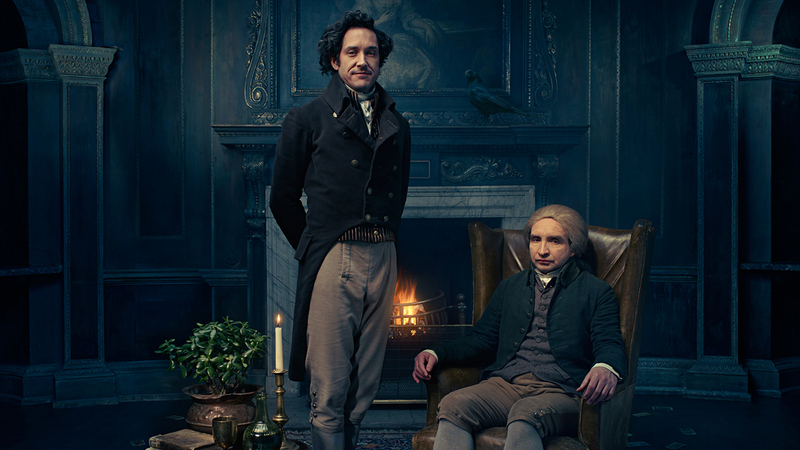 Norrell and Strange are portrayed wonderfully, Childermass is a constant delight, the magic is subtle and creepy... It just works. So definitely still worth watching.